Happy October, My Freaky Darlings! It’s that time again! The joyous time of year where all of us freaks, madmen, monsters, and weirdos feel are just a little more accepted (Not that it really matters!) 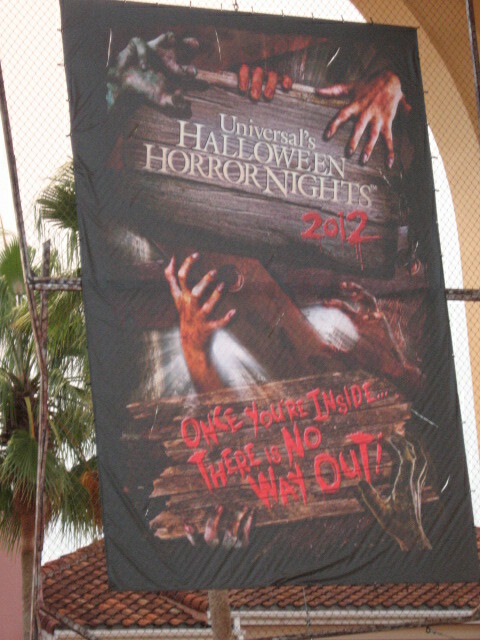 Well, a week ago we made our annual trip to Halloween Horror Nights. I have to say another great year down, was a shaky start at first with lack of website among other things. They really surprised me this year though. Not to say it was perfect, but definately some of my favorite houses. I will warn, this year I didn’t make it to the shows. Funds being what they were, we just couldn’t go Express (Something that will be remedied next year!) The last couple of years though I haven’t been too impressed with Bill and Ted’s Excellent Halloween Adventure anyway…so no big deal. Would have really enjoyed 20 Penny Circus, but alas it wasn’t in the cards. Let’s stop the dilly with the dally and jump into this thing huh? We ended up getting out…they are going to be soooo pissed!!! 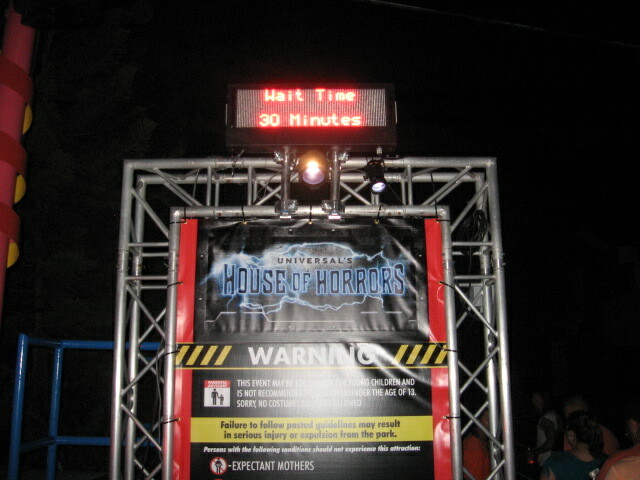 7) Universal’s House of Horrors– I really wanted to like this house more. I loved the concept, I think there was a lot of room for good scares. I did receives at least two really good scares. I just think it could have been better. What made me have a bad taste about this one? Simple! The house scenes and everything were done in UV paint. I know what they were going for, trying to make you feel as if you were walking into the living film, it just could have been better. In fact, I really feel houses like this are lazy. To top it off, there was no facade. You just walked into the beginning scenes which were very much like the beginning to All Nite DIE-in: Take 2. What was the reason for this house being so thrown together? Again…Simple! Remember a couple of months back when I reported that the seventh house was going in SS44? I have no proof, but it’s my opinion that this house really was thrown together pretty quick. I never did find anybody who posted a building permit for that location. Also looking around, the floats that were supposed to be housed in that area were next to it in a rather temporary storage. Not bad if they did throw it together last minuet…but it had room for improvement. 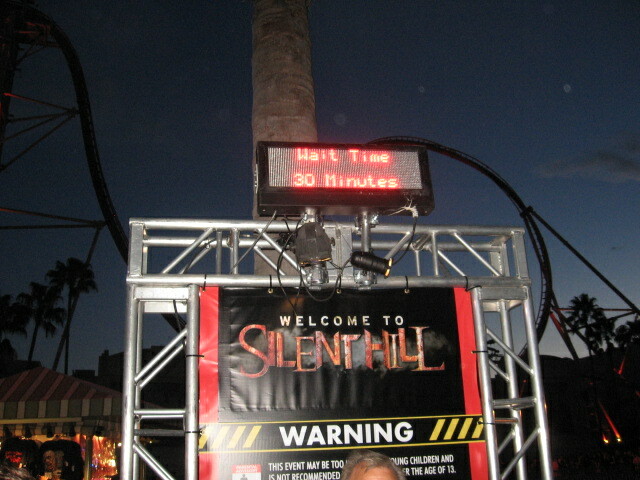 5) Silent Hill– First house of the night and really set the pace. I love Silent Hill and I love this house. I was in total fanboy overload!! The nurses, the music, the other creepy tidbits…every Silent Hill fans dream. Even managed to catch Pyramid Head, which Seras tried to take home…I think she scared him. The best parts are the opening scene and facade, the janitor scene (which is very disturbing to say the least), and Pyramid Head. Really wish there would have been more of him. You did have a mess load of nurses though…I suppose that made up for it. Room for improvement? Maybe a little more energy on the scareactors part. As far as design wise, Universal possess tech to make it ten fold scarier. Maybe when they optioned the rights, they got a few more years out of it…and this won’t be the last we will see of good ol’ Silent Hill. One could hope! Either way…don’t miss it! 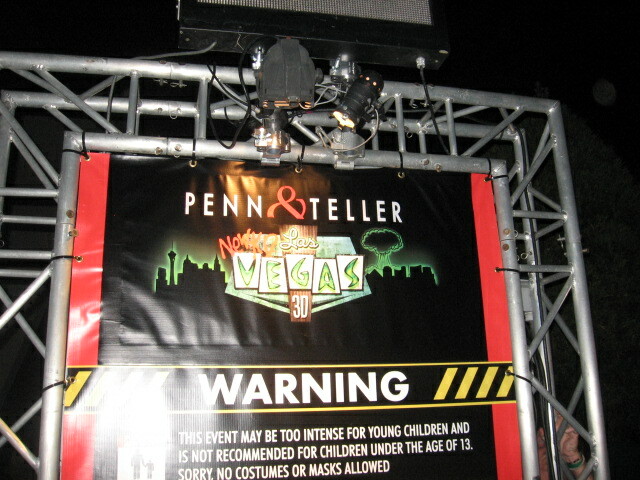 4) Penn & Teller New(Kd) Las Vegas– For a funny house this was higher on the list because A) it was trippy B) it had surprisingly good scares C) the interactive aspect D) Penn and Teller paid my $40 bucks to bump it up! LOL Just Kidding…they gave me $10 and thats why it’s #4! Anyway, this was the best of the typical fun houses I have been though. For years, Psychoscarapy: Home for the Holidays was my favorite…this house dethroned it. In this house you will find everything you love about sin city…everything you love horribly irradiated with nuclear waste. You see, Penn and Teller aren’t the kind of people to let a little thing like nuclear waste get them down…NO!! In fact the see the wonderful opportunity to turn a negative into a positive…and make some cash on the side. My favorite parts in this house is the kitchen scene and then the wedding scene. Both got me good…some more than others…Seras. 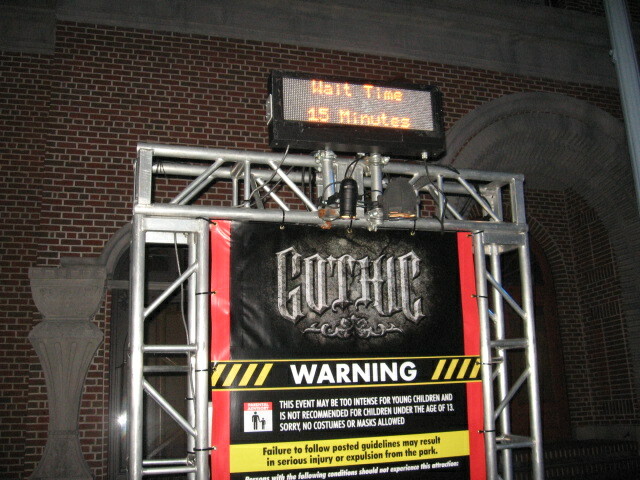 Would have been higher on the list if we would have went the week before when Penn and Teller were actually there!!! Would have been number one!!! 2) The Walking Dead: Dead Inside– This is THE perfect zombie house…never will there be anything more accurate for a zombie house or scarezone. So many emotions felt in one house! 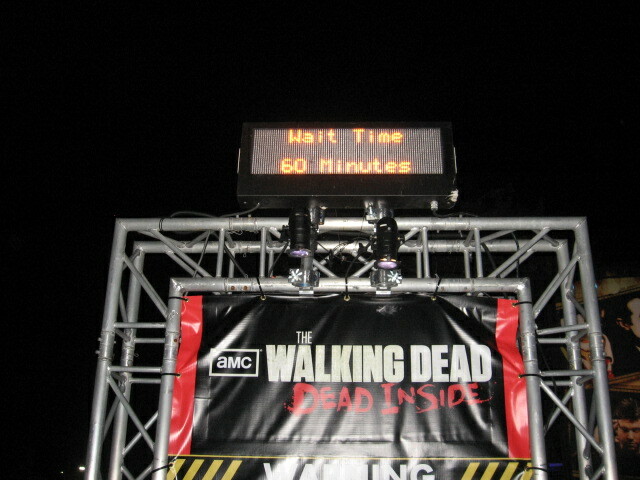 Universal was able to bring to life The Walking Dead in a way I never though possible. The scenes that you walk through are every bit as iconic as they are in the show. You really never know when a walker is going to come at you. Could be here…could be there! The very end is my favorite part. Let’s say…i think they were lying when they said House of Horrors had more scareactors in a single scene…wait till you get to the end of this one. Without giving too much away…let’s say your personal bubble is greatly reduced and if you are afraid of zombies…your going to love this. Don’t miss it…as a matter of fact…go through it twice!!! 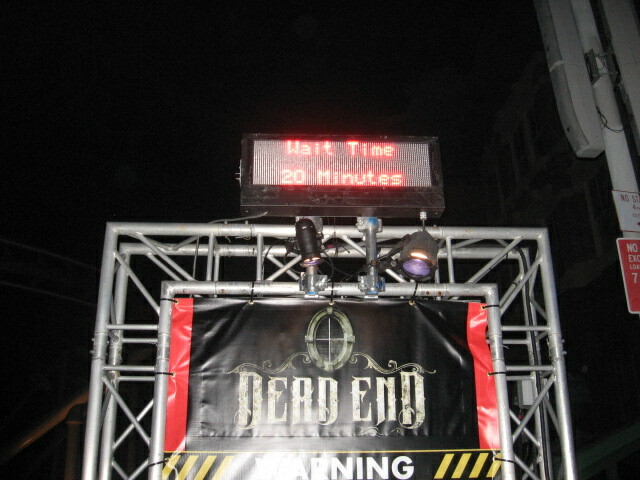 1) Dead End– Well we are at the end of the count down…may favorite house of the year. Another one I nearly didn’t get too. Boy I’m glad I went. Really wish I could have moved into this old house…it has a certain character…By character I mean it scares the piss right out of you at every turn. By far the most scares in one house all night. This is why it got number one!! Could tell whether it was all the things that weren’t what they seemed…or the glowy white ghost that get’s you at every turn…but this house just got me! And that’s rare!!! Do not…and I repeat…do not miss this house! It will become your White Buffalo. I can’t even peg down a favorite scene it was that good. I suppose the scenes with the glowy white ghost were the best…BEWARE OF THE GLOWY WHITE GHOST!!! In closing, this was a good year to go. I definitely felt like it was money well spent. Can’t wait for next year, and wish I could go again this year! As I said i was not able to hit the shows. 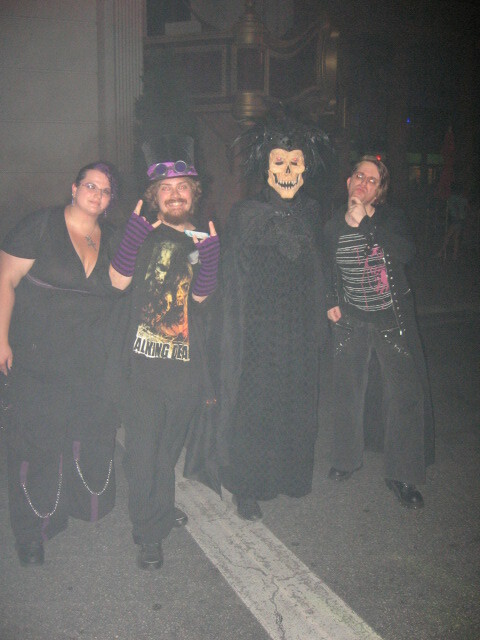 My dear friend Samhain however was able to hit Bill and Ted, so maybe she will be so kind as to send me a small review. Also!! I will be collecting some reviews from our fellow cast of weirdos that went with us, and post them as well…why just take my opinion on the night…right? (Hee Hee That rhymed) Stay tuned for more madness to come! P.S I re-preposed to Seras under the archway to the cemetery….SHE SAID YES!! CONGRATS TO ME!! Seras, Me, and ArnieFreeze…the rest of you should have been there damn it!!! This entry was posted on October 4, 2012 by malicepsychotik. 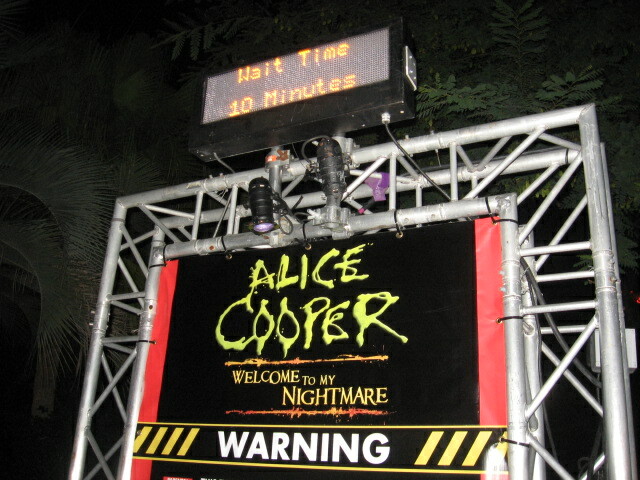 It was filed under Halloween Horror Nights, Reviews!, Universal Orlando Resort News and was tagged with 22, Alice Cooper, Halloween Horror Nights, hhn 22, Horror, Horror Fans, Penn and Teller, Scarezones, silent hill, The Walking Dead, Universal Studios, USO, Zombie, Zombies.